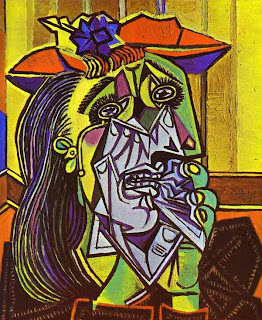 After the Jug Was Broken: "Portrait of a Woman Weeping"
The selection covers a page, and these pages were written daily - a kaleidoscope, a display of fireworks, or simply an inventory, or what comes in with the tide. Imagine a basin that is never empty, but the source is unknown. 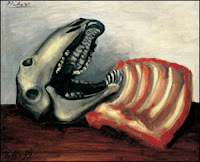 The Spanish painter Zubaran painted racks of lamb, and the skull was a frequent subject of Spanish and medieval painting in general, as a symbol of vanity or the brevity of life. But Picasso’s skulls still had their meat on them. 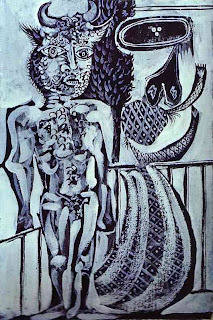 His overburdened psyche found release in art, and despite the Occupation, and the warnings and threats he received, he continued to paint what he felt. Lamb of God? Good Shepherd? Abraham’s sacrifice? 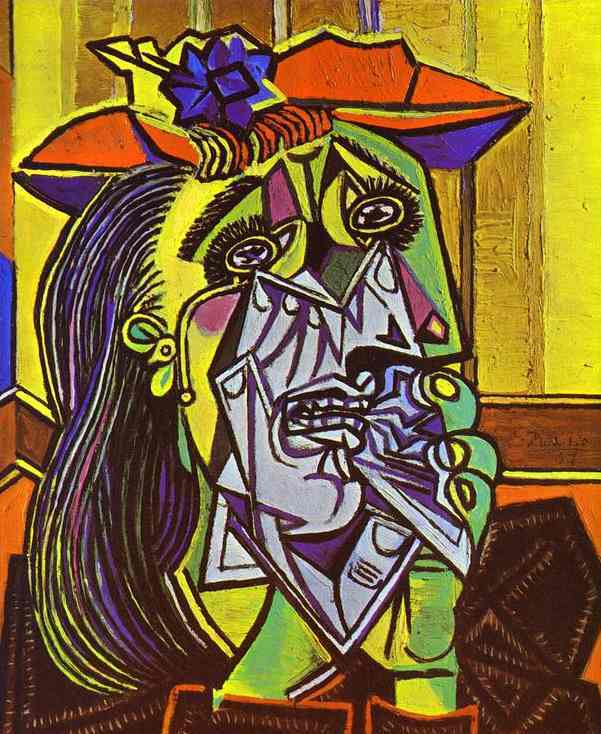 Picasso would only say “there's nothing religious about it at all. There's no symbolism in it" and that he just wanted "a human feeling, a feeling that has always existed." 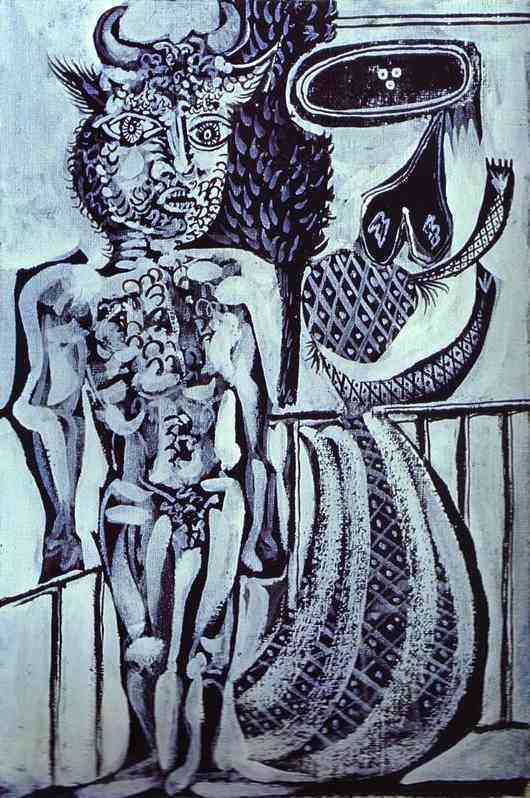 (Ibid, P. 112) The sculpture remained in his studio for the rest of the war, and if postwar visitors wanted a photo, Picasso posed next to the sculpture. I think this was a victory - over the panic-stricken, butchered imagery that had taken him over, and he took pride in this victory. He had overcome hell and returned to the simple humanity of everyday life. “Dadaist nihilism”? I don’t think so. The urge to annihilate, in the man, in the world, was overcome. At least in that instance. In that world. At that time. without seeing his own death?